Oslo is the capital and most populous city in Norway. The Norwegians are some of the most hospitable people in the world and a tourist will never fail to get mesmerized by the beauty of the city. If you want to visit Norway, start with Oslo. Below are a few facts about the city. 1. The city was founded in 1000 AD, and later in 1048, King Harald III established a trading place in the town. 2. Oslo has been the capital of Norway since 1814 and occupies 454 square kilometers, 242 of which are forests. 3. The city is home to Norway's King Harald V and Queen Sonja and The Royal Palace. 4. 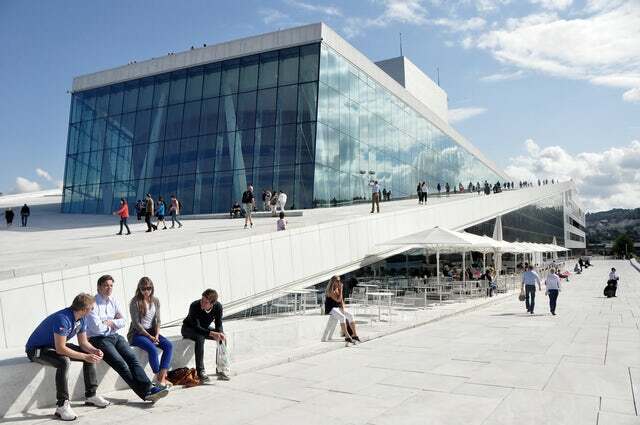 Tourist attractions in the city includes; the National Museum of Art, Architecture and Design, the Norwegian Opera and Ballet and the National Theatre. 5. Oslo is located on the end of the 62-mile Oslofjord which has over 40 islands. 6. Oslo was the home of cultural mavericks that include; Edvard Munch, Gustav Vigeland and Henrik Ibsen. It was one of the Viking Age idealism. 7. The city of Oslo is considered to be in the south of Norway, and yet, it is on the same latitude as Alaska in the US and St. Petersburg in Moscow. 8. If you are in Oslo, you are just 15-minutes away from the bush - yea, that's how green the city is. 9. According to UN, Oslo and by extension Norway, is the best place to live in the world. It has the highest Human Development Index and the lowest unemployment rate in the world. 10. Oh, one more thing...there is no such thing as bad weather in Norway, only bad clothes. And you guessed right...it is the Norwegian's way to tell you that you will need some warm clothing.